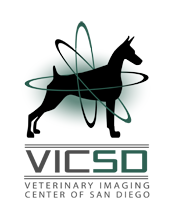 While veterinary interventional radiology is in its infancy there are some minimally invasive interventional procedures being performed today that have tremendous patient benefit. One such procedure is the parathyroid ablation. The parathyroid glands, located in the neck, control blood calcium levels. In dogs and people blood calcium is very tightly regulated due to its deleterious effects on the body. High calcium levels, or hypercalcemia, in dogs can be due to many causes, one of which is a parathyroid tumor or adenoma. Parathyroid adenomas are overactive portions of the gland and secrete excessive parathyroid hormone which causes blood calcium to rise to dangerous levels. Parathyroid adenomas are best identified by a combination of blood work and ultrasound screening. Once a parathyroid adenoma is identified via ultrasound, an interventional procedure termed ablation can be used with ultrasound to kill the overactive tissue. What makes the ablation procedure such a good choice is that it can be performed as an outpatient procedure, has no surgical site, has a high success rate and is less expensive than surgery. As with surgery, post-ablation the calcium levels will need to be monitored for a rapid and potentially dangerous drop in blood calcium. While VICSD does have relationships with regional interventional human radiologists we do not perform all of the procedures listed above. For those procedures outside our area of expertise we are able to point you in the right direction if you have any questions or require assistance regarding veterinary interventional procedures.